Veteran cop, DCI David Jones, is tough and uncompromising. His Serious Crime Unit has the best arrest record the Midlands Police Service has ever seen and Jones wants to keep it that way. Locksmith turned jewel thief, Sean Freeman, is the best in the UK. He’s never been caught—the police have never even come close. When Freeman’s boss forces him to break into the Stafford Museum, the UK’s most secure premises outside of the Bank of England, he’s in trouble—the Stafford is in the heart of Jones’ jurisdiction. The story begins eighteen months previously when Digby Parrish, criminal mastermind, is looking for a locksmith with particular skills. He finds what he’s looking for in Sean Freeman, who is biding his time working in a specific locksmith’s shop for his own reasons. Sean has an agenda. Parrish visits the shop and sets Sean a test – making a perfect copy of a one-off, damaged key. Back to present day and DCI David Jones has just returned to work after a weeks break and is catching up with his team’s caseload. 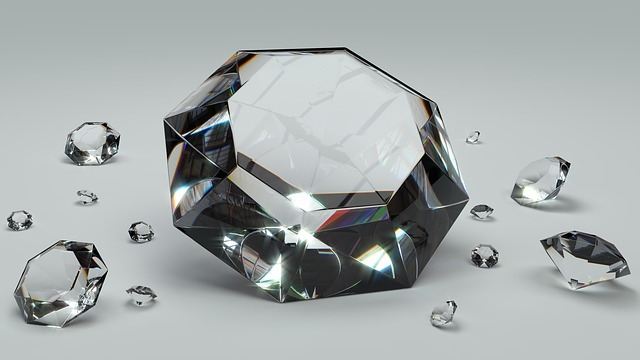 A spate of unsolved diamond thefts are brought to his attention, involving millions of pounds and someone who is an obvious expert when it comes to locks and electronics. From the pack at his feet, he removed the ‘can opener’, a machine he’d taken two years to perfect. The shiny device, made mainly from titanium and tool steel, consisted of a round frame with three legs ten centimetres long. The foot of each leg incorporated a powerful rare earth magnet covered by a thin rubber shim. Attached to the centre of the frame was the magic – a vibration-sensitive, screw-threaded, rotating actuator with a digital LCD display…………The motor hummed, ceramic gears spun, and the dial turned slowly. It barely made a sound. The vibration-sensitive mechanics would search out the lock’s internal wheel-notches and throw out the combination. Ultimately the two storylines merge into a complex, detailed and well thought through plot, incorporating offshoot cases that keep the team on their toes. It kept me guessing too. Great writing, believable dialogue and engaging, well portrayed characters, particularly DCI Jones and his partner, Detective Sergeant Phil Cryer. I like the slant of knowing who the offender is from the start, and also that there’s more to his story than is, at first, apparent. Hints are dropped as the story progresses, until the full extent of Sean’s story is revealed. Sean Freeman is a likeable rogue and I found myself hoping there would be a favourable outcome for him. Not so much for Digby Parrish and his cohorts, however, who are a combination of the worst aspects of human nature. Lots of action, unexpected twists and great pacing keeps the story moving forward towards an excellent ending. This book is reviewed for Rosie Amber‘s book review team. Kerry was born in Dublin way back in the days before mobile phones and colour television. He spent most of his life in the UK, and now lives in Brittany with his long-suffering wife of thirty-seven years, no dogs, and no cats. He has three children and three grandchildren; all live in England. He has a degree in Human Biology, and a PhD in Respiratory Physiology. Kerry earns his living as a furniture designer/maker, a market research analyst, and a writer. You’re welcome 🙂 I’m enjoying Kerry’s writing very much. I agree with you re Kerry Donovan generally, he’s a very talented writer. My heart belongs to Chet, though! I know, he’s my favourite too. Thank you for the review Cathy. A very interesting review. Not often do you get to know who the offender is at the beginning of a book. It doesn’t sound like a run of the mill whodunit. It’s so nice when there’s a different slant to a book.